Amber is a well-adjusted, successful businesswoman and trader; however, she had considerable difficulties when she first began to trade. She earned a PhD in college and her nose-to-the-grindstone attitude helped her excel in business, but this attitude worked to her detriment in trading. She experienced herself wanting to trade the way she worked – endlessly, putting many deliverables on her plate at once, and barrelling through her workday. She said she liked her day this way because it gave her an edge, but when she used this same tactic in her trading, she had dismal results and it almost depleted all of her capital. She knew there had to be something driving her thinking and creating such depressing results. After working with her Thought Journal and reflecting deeply on this issue, she realized that when faced with doing things the easy way versus the hard or difficult way, she had chosen, time and time again, the difficult path. It had never occurred to her that this could be an issue, and during graduate school and business, things had always come out the way she wanted. One day, while speaking to her mentor about her trading, she remembered something her dad used to tell her: “Amber, you always do things the hard way.” She also remembered becoming angry and hurt by his rebuke and realized she had, in fact, chosen to be that way throughout her life. She believed she had to do things the hard way because she believed that was her way. With the uncovering of that belief, she then resolved to change her way of thinking by reframing the belief into one that served her. Subsequently, she changed her behavior in order to get the results she wanted. A belief is what you hold to be “true” and you “feel” a level of certainty about it. You become what you truly believe. Whatever your beliefs are, the first matter of business is to know them, especially those that impact upon your trading performance. As Amber did, you’ll want to monitor your thoughts and what you’re telling yourself as you track your trades in your Thought Journal (a log of your internal data – your thoughts, emotions and behaviors associated with your trades). In this way, you’ll begin to identify the “limiting beliefs” that are driving your thoughts and emotions which in turn drive bad behavior. Next, identify the type of beliefs that will serve you. For instance, let’s consider developing a belief in excellence. A belief in excellence is at the core of success. Winning is about belief. If you believe you can’t, you won’t; if you believe you can, you will. If passion is fire, then emotionally connected beliefs are the logs that build that bonfire of focus on the goal. Beliefs are also emotionally held thoughts based on your perceptions of events. Beliefs, therefore, can be created; you can presuppose they are true and you can try them on like clothes to see if they fit. If they work, and if you support them and develop them by talking to people who share this belief and surround yourself with reading material that verifies the strength of this new belief, it is likely that it will become a belief for you. Beliefs are MAPS (mental models and paradigms – lenses through which you see the world) and serve to create views about self and others that you use to determine decisions. These beliefs and MAPS, if they do not serve you, are learned limitations that become “dyed-in-the-wool” and strongly held, often coming from authority figures and loved ones we incorporated into our maps. You can create your own beliefs and rewrite your history. It is a matter of identifying the results you want and formulating the mindset aligned with getting those results. Consider this; Jim is an excellent trader. He knows how to trade and he believes whole-heartedly in his ability to do what it takes to win. Even though he knows losing is part of trading, he treats each play as though he is definitely going to capture money from the market. Belief – I have the potential to win any trade I make. I follow all of my rules and size my positions appropriately. I manage my portfolio. I only take high probability setups in keeping with my strategy. I’m able to visualize the winning trade as hitting my target. I can see the price action moving in my favor. I see myself smiling as I click the mouse to enter and to exit the winning trade. I hear myself say, “Well done” after the winning. I feel confident and am aligned with my strengths while resisting disruptive emotions like anxiety, fear and greed. I put my full attention into the trade. I am focused and the “knowledgeable trader” in me is fully present. I look for patterns, pivots, resistance and support and use them adroitly. I notice when I have “danced with the market well” and celebrate my wins. I prove my belief to myself by taking advantage of good high probability setups that have a high rate of win returns. If, on the other hand, Jim believed he had to fight the market and it was difficult to win, and that at any moment the markets would take his money, the scenario would be more like the one below. Belief – beating the market is difficult and I don’t have much of a chance. Winners are lucky. My rules don’t really matter that much. I need to make money when I can. If I play more, I can make more. I take advice wherever I can get it and take any and all setups. I’ve got to remain flexible. If I don’t, I’ll miss out. I hope that this trade will win. If I anticipate the move of the price action, I can get a jump on the trade, but I know it’s going to go against me as soon as I get in, and when I get a small profit, I’d better take it now because the price action will move against me. I’m feeling anxious and fearful that I’m going to lose. I know it’s going to break out of resistance, so I’ll go long early. I don’t need confirmation. If I wait, I’ll miss part of the move. I feel like a failure when I’ve lost in a trade. I prove my belief to myself. This scenario plays out over and over again in trading rooms and on computers across the planet. Be proactive and intentional about your belief systems. This is the way to create the results in your life and in your trading that you want. Your “A” Game is dependent on your beliefs. That is why it is so important to identify those that are not serving your best interests. Dr. M. Woodruff Johnson (known as "Woody") is the author of "From Pain to Profit: Secrets of the Peak Performance Trader". He has actively and successfully traded stock options, forex and futures for around 10 years. 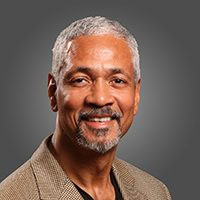 He was a former Executive Director of the Kaiser Permanente, Watts Counseling and Learning Center and holds certificates in Accelerated Learning, Neurosensory Development and hypnotherapy as well as others. He is dedicated to helping others achieve their goals and get the results in trading and life that they desire. Why oh why does T2W allow garbage like this? Pitiful marketing rubbish dressed up as an article. It appears I rated it as 10 by mistake. Please disregard my rating. Instead of clicking on the next page I clicked on number 10 because I wanted to skip the rest of article and thought it had 10 pages. You might want to work on the layout of the page to make this kind of mistakes impossible. It was there for weeks before someone actually read it and removed it. The less said about the classic interview with options guru Howard C the better ! I miss The Hocster (pronounced to rhyme with "coke" not "c0ck") though. He was good value. Definately the source of some quality lulz..... he's gone very quiet ! He still checks in though. I have sent him a message (very politely worded, I must stress) imploring him to return. Without his guidance and wisdom, I am in danger of blowing off my own johnson! The mind definitely plays a significant role in the success/failure of a trader. Check out the book think and grow rich for more on the power of belief!